It turns out men who got mad about the mad women of Mad Max: Fury Road would have had more to get mad about if some of George Miller’s original ideas had made it into the movie (which made a lot of money, despite the best efforts of those mad men). It took Miller over a decade to make Fury Road—a time span so long, Charlize Theron and Tom Hardy’s stunt doubles had time to fall in love, marry, and start a family before the movie even premiered. There are a few small differences between what Miller wrote here and what we eventually saw on the screen. Furiosa was not yet named Furiosa. And the feminist utopia where Furiosa comes from, Gynotopia, described here is a little more fleshed out than what made it to screen. 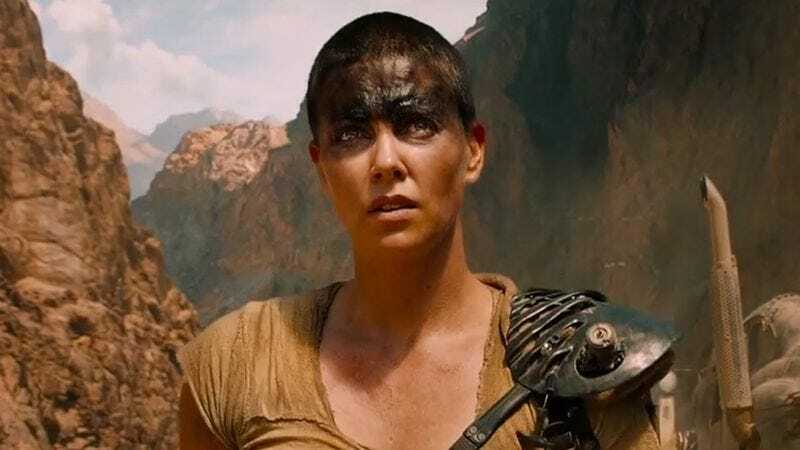 The myth Miller constructs shows that he always intended for Fury Road to be a feminist tale; it wasn’t an afterthought or something that emerged over time. If anything, the film is actually somewhat diluted from the original mythology. While there are small changes, the storyboard hits a lot of the big moments that made it to screen, like Max getting caught and branded, Furiosa’s escape (although she still wasn’t named Furiosa), the storm, and the final battle.